The Acer Timeline Ultra M5 certainly manages to impress in raw performance. 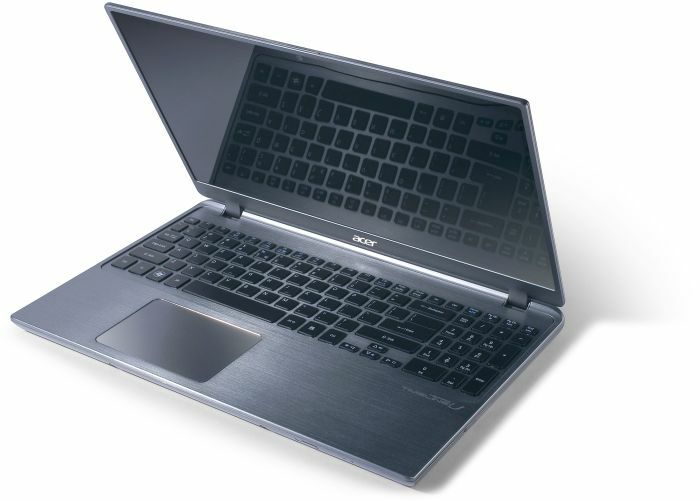 What it lacks in visual style from other ultrabooks, it more than makes up for in substance. The Ultra M5 also presents a new class of ultrabooks (if such a classification can indeed be made) for those people who want the portability of an ultrabook, but also want enough horsepower to be able to play the latest games. 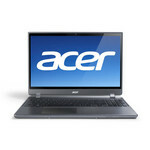 82% Test: Acer Aspire Timeline Ultra M5-481TG-73514G25Mas Ultrabook-Entwicklung verschlafen? 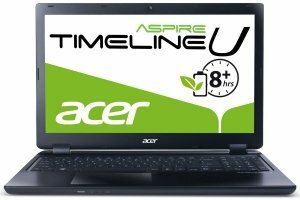 Mit dem Aspire Timeline Ultra M5-481TG geht Acer in die richtige Richtung. Gegen die Killer-Argumente der Konkurrenz kann das 14-Zoll Ultrabook jedoch nichts entgegenbringen. Hier hilft nicht einmal die leistungsstarke Nvidia Geforce GT 640M LE. Bereits im Januar 2012 stand das Konzept des M5 fest, welches die Ultrabook-Entwicklungen der letzten Monate komplett außer Acht gelassen hat. Ultra-Gaming-Book. 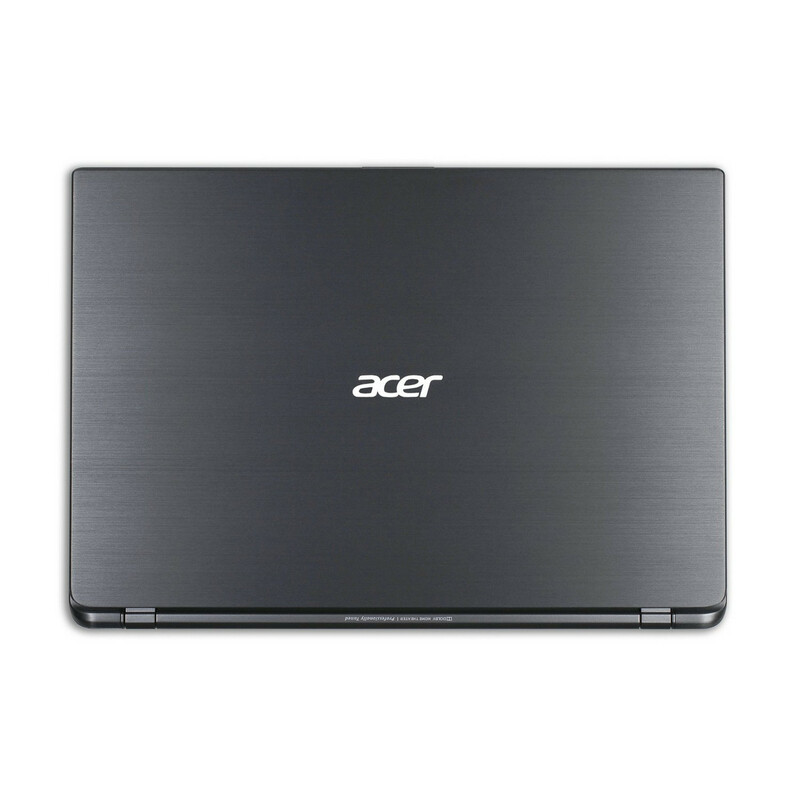 Acer bietet in einem 20,6 mm hohen Aluminiumgehäuse die spielefähige Kepler Grafikkarte GT640M. Ob diese Kombination aufgeht und die Temperaturen im grünen Bereich bleiben, klären wir in unserem umfangreichen Testbericht. 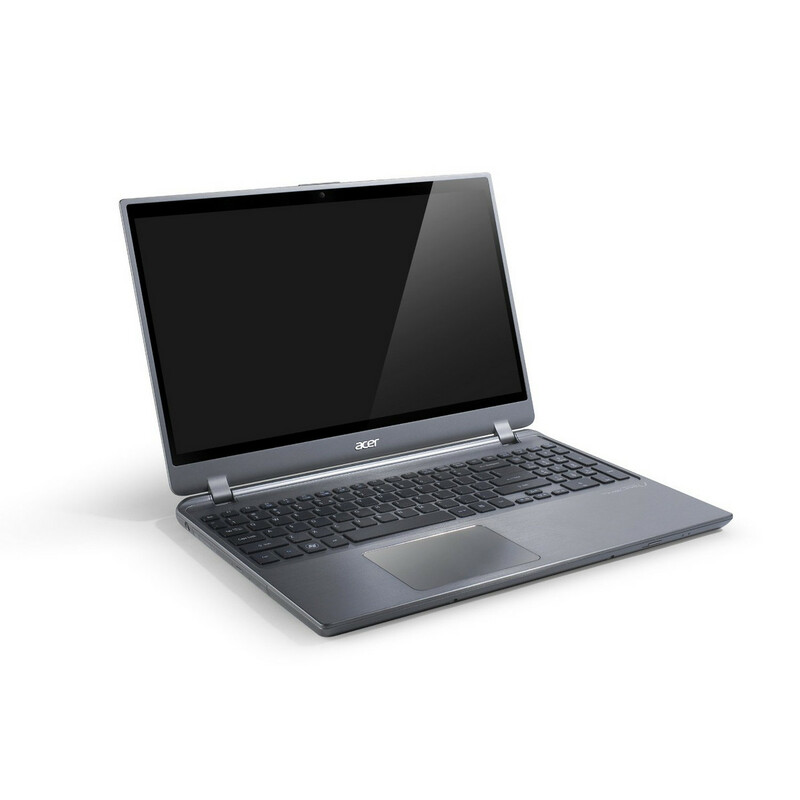 Das DVD-Laufwerk hat in den ultraflachen Notebooks der neuesten Generation eigentlich ausgedient, doch das Acer Aspire Timeline Ultra M5-581 bringt eins mit. Wer ein flaches Notebook mit DVD-Laufwerk sucht, hat jetzt zumindest eine Option. Insofern ist das TimelineU M5-581 fast konkurrenzlos. Es wäre aber auch empfehlenswert, wenn es zehn ähnliche Modelle gäbe, denn Preis und Leistung stimmen. 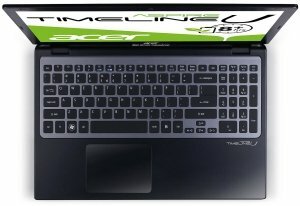 Das Konzept des Acer Aspire Timeline Ultra M5 scheint durchdacht: Leistungsstarke Komponenten auf engem Raum, ohne dabei auf Displaygröße zu verzichten. 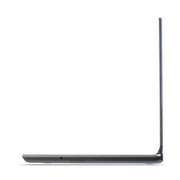 Laut Intels Ultrabook-Spezifikationen sieht so die Zukunft der Notebooks aus. Nur leider verbaut Acer beim M5-581TG schwache Komponenten. Das Glare-Display leuchtet für einen Einsatz in hellen Umgebungen nicht stark genug. A powerful notebook with lots of memory and joy of joys no shiny black in sight anywhere as the whole thing is silver grey. On the down side the screen is still very reflective, why cannot a non reflective screen be standard on all notebooks.I liked this notebook but as always the review period is short and doing a great deal more than a standard set of tests is not possible. 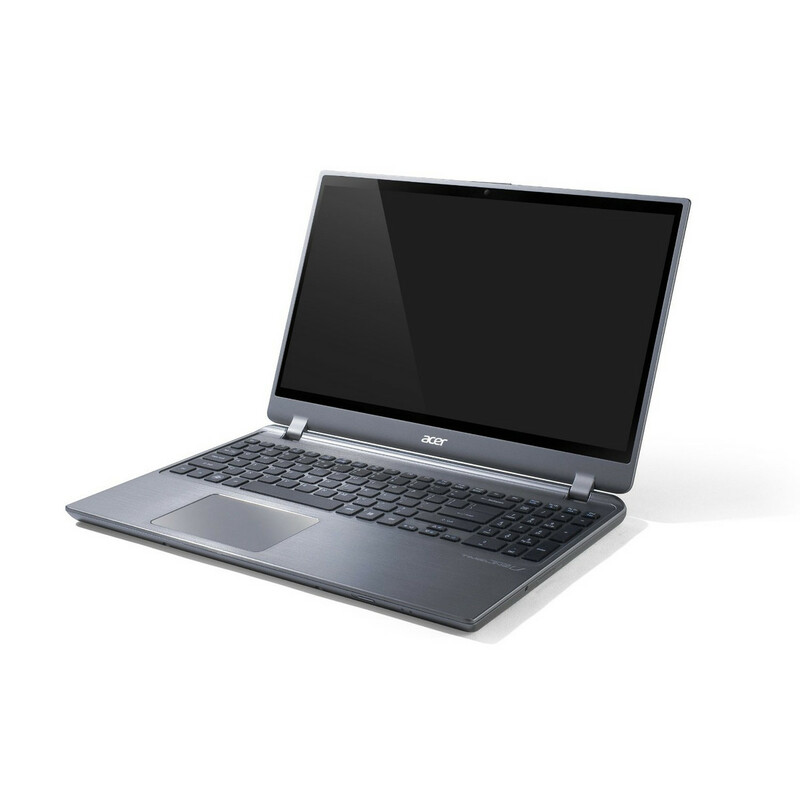 When ultrabooks first launched at the end of 2011, it was a given that such a compact frame couldn’t possibly accommodate a spinning hard disk or optical drive. That black bar around the screen sticks out as one imperfection, and aesthetes might carp at the plastic base plate or lack of a side USB port. 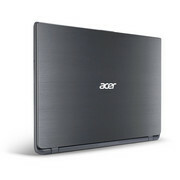 But for performance, input devices, audio, and ease of use (think DVD burner vs USB stick for movie watching) the Acer Aspire Timeline M5 rocks. The Timeline Ultra M5 runs on a newer but weaker processor than the M3 used, and Acer pulled the older model's speedy 256GB SSD in favor of a 500GB HDD with a 20GB SSD boot drive. The result is slower overall performance, which is reflected in the 50-point difference in the systems' WB7 scores. We can’t help but wonder if Acer is a bit confused. The company sent us two laptops for review simultaneously: the Acer Aspire M5 (priced at $780) and the Acer Aspire S5 (priced at $1,399). Between these, the M5 is clearly superior. It’s more attractive, nearly as quick, far better for games, and lasts longer on a charge. Maybe they accidentally switched the labels. When I first fired up the TimelineU, I had a hard time determining whether I should review the machine objectively as a standalone product or if I should impart my preconceived notions about ultrabooks. In the interest of fairness, I'll try to cover both starting with the latter: As an ultrabook, the M5 falls short. 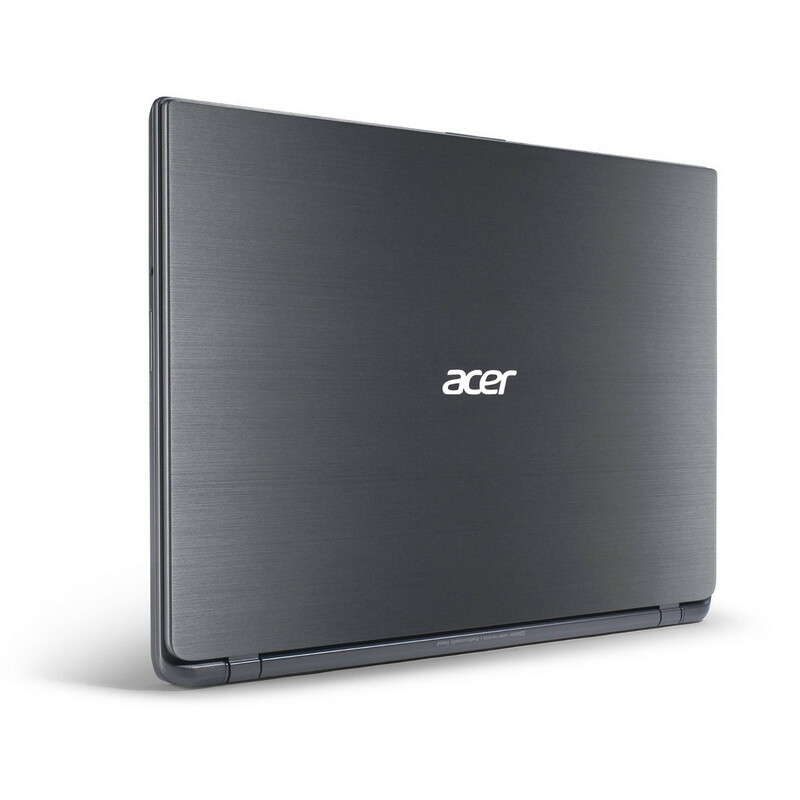 The Acer Timeline Ultra M5 is yet another Ultrabook on the scene. This one offers an attractive design, great audio, an optical drive and discrete graphics. It does lack in screen resolution and overall performance, which holds this computer back from the rest of the pack. 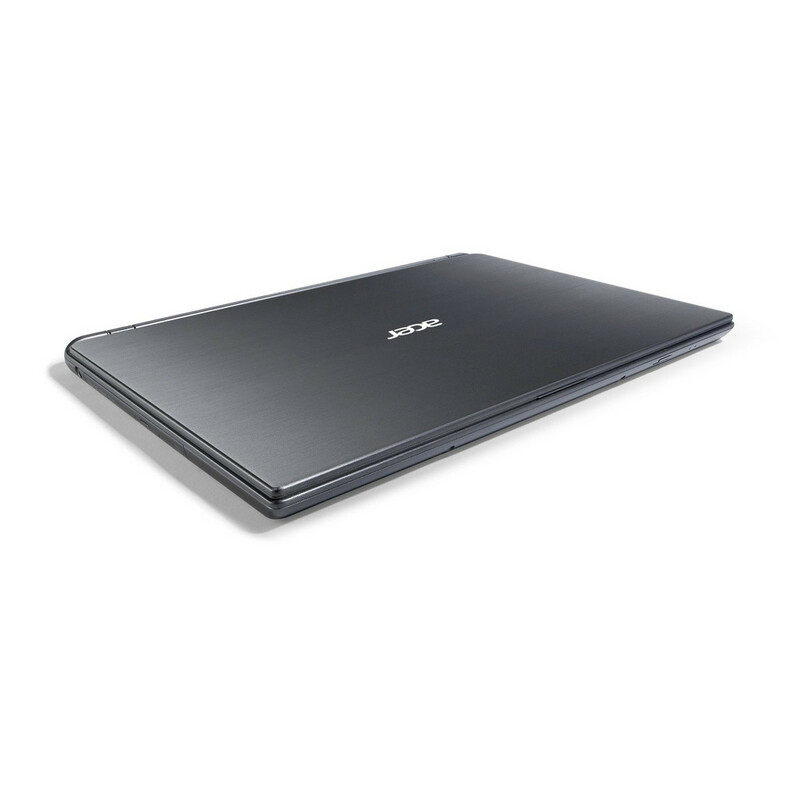 With most 15.6-inch notebooks, you're forced to lug around a bulky, heavy device, sacrificing thickness for power. 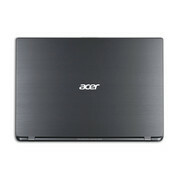 The $829 Acer Aspire TimelineU M5-581TG-6666 is a happy compromise, stuffing a slim 0.81-inch chassis with an Ivy Bridge CPU, discrete Nvidia graphics, and more than 7 hours of battery life, which will delight mobile gamers and multimedia consumers everywhere. Positive: Quality mechanical processing; quiet operation; comfortable keyboard . Negative: Low-resolution display; fan noise. Let's face it: unless you're out to find the most stylish laptop ever, most laptop shopping is about value for money. 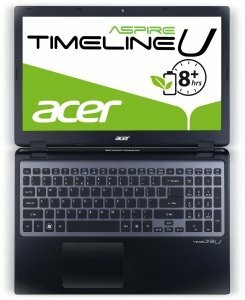 As back-to-school season enters its dog days, one clear-cut winner in that regard is the Acer Timeline U M5-481TG, an ultrabook with all the trimmings that costs as little as $779. Yes, it's heavier than the average ultrabook, but if you're looking for an excellent value in a full-featured thin laptop, the Acer Timeline U M5 is hard to beat. What this all amounts to in the should-you-buy-it department is a big maybe that depends on what you value the most. If you’re a gamer who travels a lot but never wants to plug his laptop in, consider the TimelineUltra your baby. Those who quickly tire of waiting may want to look elsewhere. The ultrabook category continues to evolve, with a subspecies emerging to fill just about every habitat. 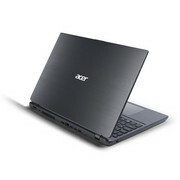 You shouldn’t be able to get 3D performance this good in an ultrabook this thin and affordable. But the 14-inch Acer Aspire TimelineUltra M5 481TG-6814 delivers just that, along with an optical drive and other goodies. 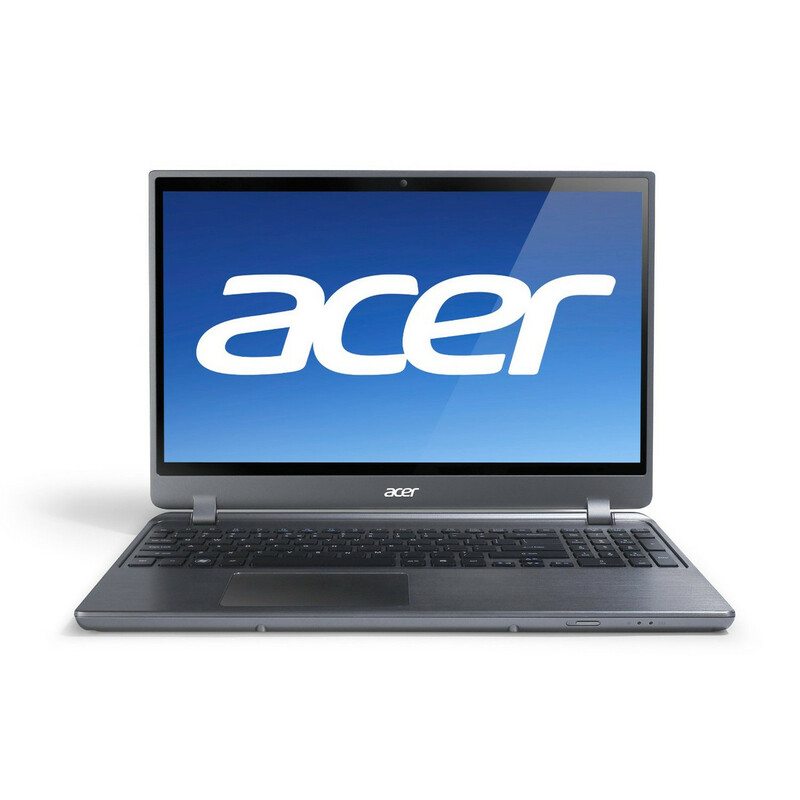 For the money, the Acer Aspire M5 is a fantastic deal. At $780, it delivers some of the best graphics performance you'll find in this price range, or among Ultrabooks, in general. 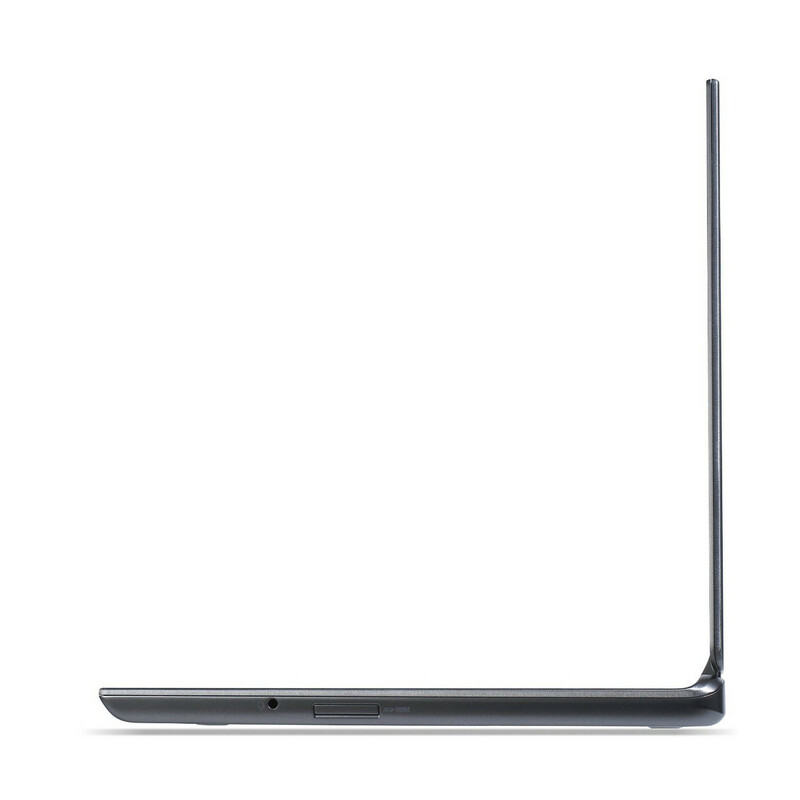 It's thinner than many mainstream 14-inch laptops, even though it still makes room for an optical drive. The downsides of the Acer Aspire Timeline Ultra M5-481TG-6814 are outweighed by its nimble performance in both everyday computing and visually intense gaming applications—and it's an excellent value. With discrete Nvidia graphics, loud speakers, and solid battery life -- all for less than $800 -- the Acer Aspire TimelineU M5-481TG-6814 crams a lot into its sturdy and sleek aluminum frame. What holds this system back from a higher rating is its awkward port placement and toasty underside. 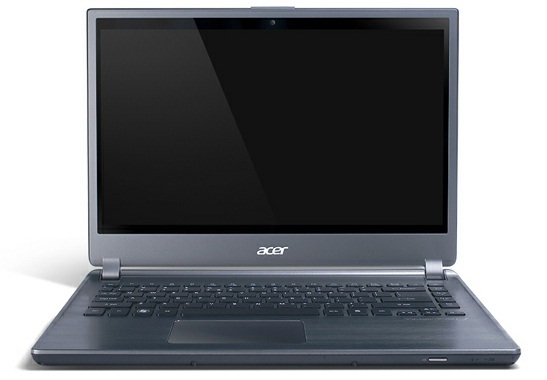 Overall, though, the 14-inch Acer M5 provides strong multimedia performance in a light package. Positive: Long battery life; reasonable price; discrete graphics card option. Positive: Thin aluminum unibody; touch screen; price. Negative: Integrated graphics card. Positive: Price to get the best toppings - weight; suitable graphics card; battery life; comfortable backlit keyboard; SSD and a great processor. Negative: Not a high level of performance. 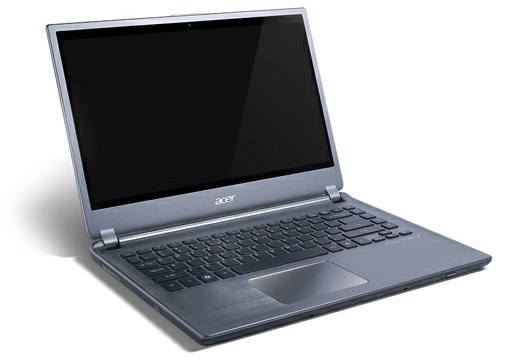 Most of our readers will never see the Acer M5-581T-6446, since it's sold only in Canada. That said, it's a pretty good laptop if you're looking for a larger, more solid Ultrabook-type model. The M5 has great battery life and excellent overall performance, but it lacks a discrete GPU and even its integrated graphics seem subpar. 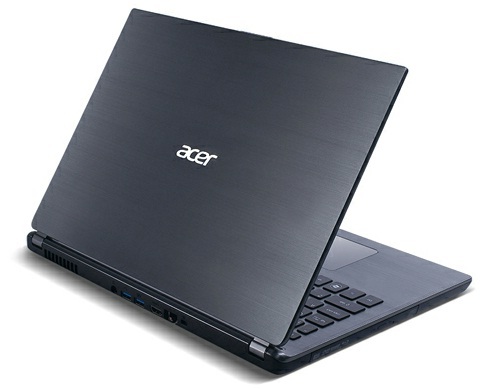 But if you're not too interested in graphics performance, this is a great, sleek laptop. NVIDIA GeForce GT 640M: Mittelklasse-Grafikkarte der 600M Serie.NVIDIA GeForce GT 640M LE: Mittelklasse-Grafikkarte der 600M Serie.Einige nicht anspruchsvolle aktuelle Spiele können mit geringen Details noch flüssig gespielt werden. Für Office und Video natürlich ausreichende Leistungsreserven. Intel HD Graphics 4000: In Ivy Bridge Prozessoren (3. Generation Core) integrierte Grafikkarte in höchster Ausbaustufe. 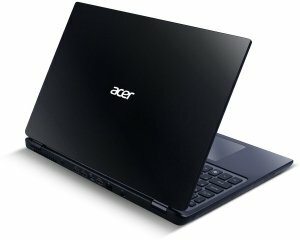 Je nach Prozessor (ULV bis Desktop Quad-Core) unterschiedlich getaktet.» Weitere Informationen gibt es in unserem Notebook-Grafikkartenvergleich und der Benchmarkliste. Stromspar-Doppelkernprozessor mit nur 1.7 GHz Basisfrequenz aber einem Turbo bis zu 2.8 GHz (bei ausreichender Kühlung). Integriert die Intel HD Graphics 3000 (jedoch nur mit 350 - 1200 MHz Taktung) und einen DDR3-1333 Speicherkontroller. 78.61%: Weltbewegend ist diese Bewertung nicht. Obwohl es bei den meisten Websites einem "Befriedigend" entspricht, muss man bedenken, dass es kaum Notebooks gibt, die unter 60% erhalten. Verbalbewertungen in diesem Bereich klingen oft nicht schlecht, sind aber oft verklausulierte Euphemismen. Dieses Notebook wird von den Testern eigentlich als unterdurchschnittlich angesehen, eine Kaufempfehlung kann man nur mit viel Wohlwollen darin sehen. » Lesen Sie auch unsere Notebook-Kaufberatung.